The first time I had to move and leave my best friends, I was nine. I made sure to get everyone’s addresses and promised to write. If we couldn’t see each other anymore, the next best thing was to be pen pals. I kept up this trend well into my early twenties, and obsessing over stationary in the mean time (note my stationary above). Due to Facebook becoming so popular and finding all of my friends there, it’s easy to know what they’re up to and writing a letter has nearly become a thing of the past. That has left me with way too many unused stationary which has me a little sad. I read this blog post a few days ago from The Simply Luxurious Life, and it reminded me of how fun receiving letters in the mail is! Our mail delivery system is suffering and no one is sending letters anymore! We just get bills, bills, and more bills! Well why not break up the mundane and send someone a letter in a pretty envelope? Or a “Thinking of You” card? It can make someones day if you send a letter or card “just because”, which is what my best friend and I did throughout middle school and high school and we saw each other nearly every day. So being miles apart doesn’t have to be a prerequisite. 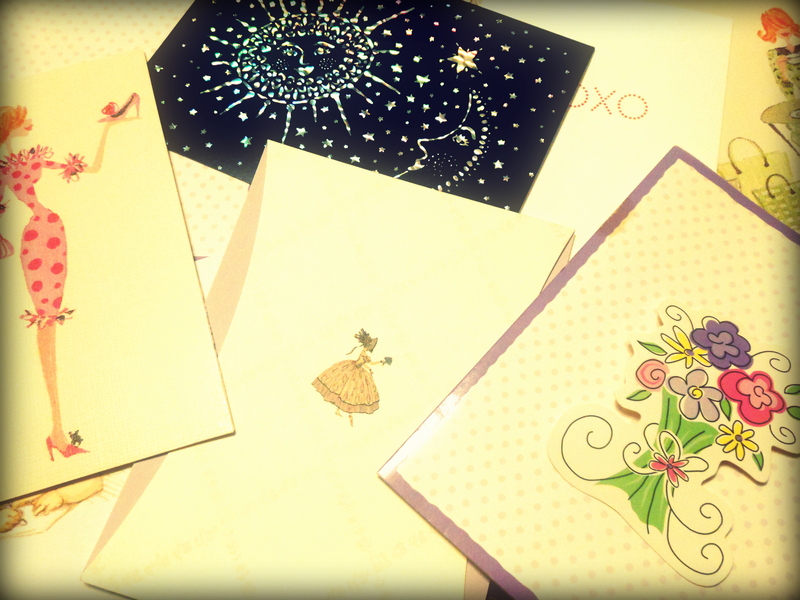 Who will you send a letter to today? Reblogged this on Walexmarceva's Blog.